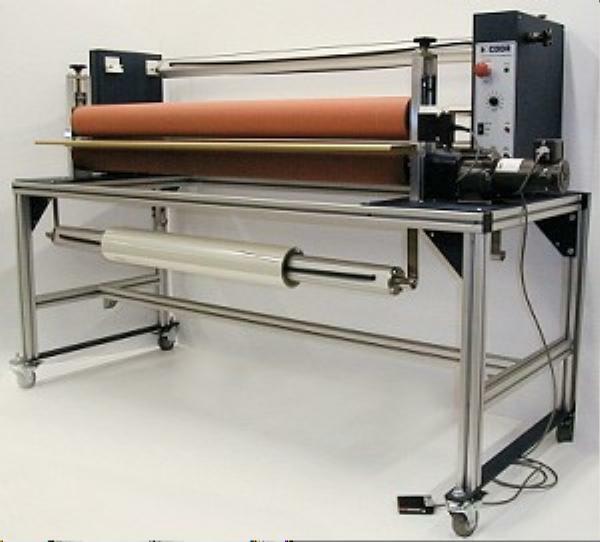 Coda's Cold-Mount System® combines Coda's award winning Cold-Mount table-top laminator with Coda's newly designed roll-feed with automatic scrap rewind and floor stand. The complete unit is now a production machine that comes on a sturdy floor stand with locking casters and storage space for roll materials. Available in widths 14", 26", 34", 44" and 54", the Cold-Mount System is easy to use and can be run by one operator.